Follow the leading contenders for this year’s top novel prize, the National Book Award, in real time, reading and discussing them alongside the Chair of the judging committee. Which novel will win, and why does it matter? Book awards have become ever more numerous and ever more powerful in the literary world, even as literary people frequently attack them for being backward, corrupt, discriminatory, or just plain wrong. To explore this curious ambivalence toward prizes, we will study some of the scandals that have erupted around previous winners or non-winners, such as when a war novel called Paco’s Story beat out Toni Morrison’s Beloved for the National Book Award in 1987—provoking a public outcry over lack of diversity nearly 30 years before #OscarsSoWhite. We will also read recent scholarship on prizes by literary critics, sociologists, and cultural economists, including the latest work in digital humanities, which uses computational methods to discover patterns of bias among prize-winning novels and tries to predict which book will receive an award. 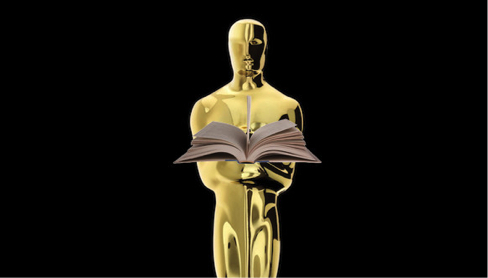 As a class we will closely follow the events of the 2016 “prize season” (September to November), reading the novels that make the National Book Award shortlist and studying their promotion and reception among critics, author and fan sites, amazon and Goodreads reviewers, professional oddsmakers, and social media formations. Work for the class will include a range of short research assignments and oral reports, and either a longer written essay based on your individual reading, or, for those who are interested, a team project in digital humanities that involves some analysis and visualization of literary data. The instructor for this class, Penn English professor Jim English, is a leading authority on cultural awards and Chair of judges for the 2016 National Book Award.